By now, you’ve probably heard…a total solar eclipse is coming! August 21, 2017 is the big day. 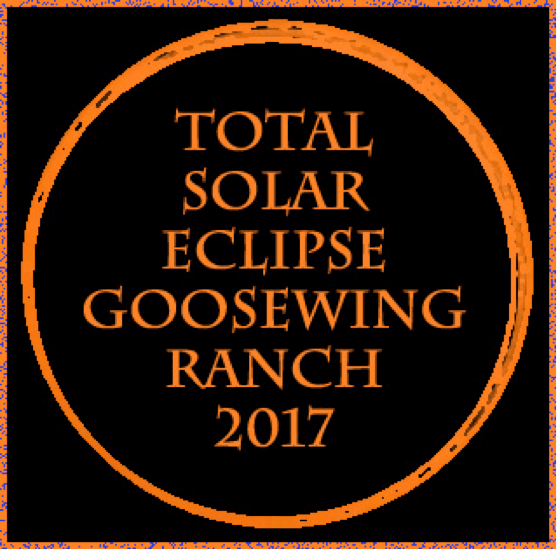 We are very excited because Goosewing Ranch and much of Wyoming is in the path of totality. Between the eclipse and already spectacular scenery, this promises to be a once in a lifetime kind of experience. Grab those solar eclipse glasses and get ready! The total solar eclipse is coming. By now, most Americans are acutely aware of the approaching total solar eclipse set to pass across the country on August 21, 2017. There are several reasons that make this eclipse so intriguing to people, the first being its total eclipse status. There are several types of solar eclipses, including a partial solar eclipse, an annular and a total eclipse. The next total eclipse in North American will not be until April 8, 2024. 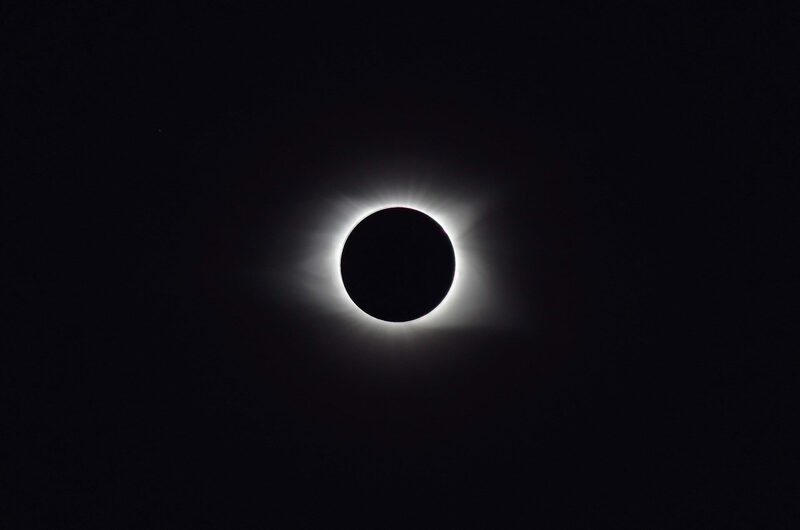 In a total solar eclipse, the most rare type, the moon slides in front of the sun in a near perfect center that blocks out the suns strong rays, leaving a rare glimpse at the sun’s corona. This occurs because of a simple, yet amazing fact… the sun is approximately 400 times larger than the moon, and yet the moon is approximately 400 miles closer to the Earth than the sun. This mathematic equation means that when astronomically aligned, the moon appears just the right size to those of us watching from Earth to see something spectacular! This is what a total eclipse looks like. Arching from Newport, Oregon to Charleston South Carolina, the 2017 eclipse is the first to span coast to coast across the United States since 1918. With 2/3rds of the nation living within a 500 mile radius of the path of the eclipse, there is no doubt that many people will hit the road to see the spectacular event. The Great American Eclipse website suggests arriving at your viewing destination at least two days before the eclipse to avoid the likely congestion. 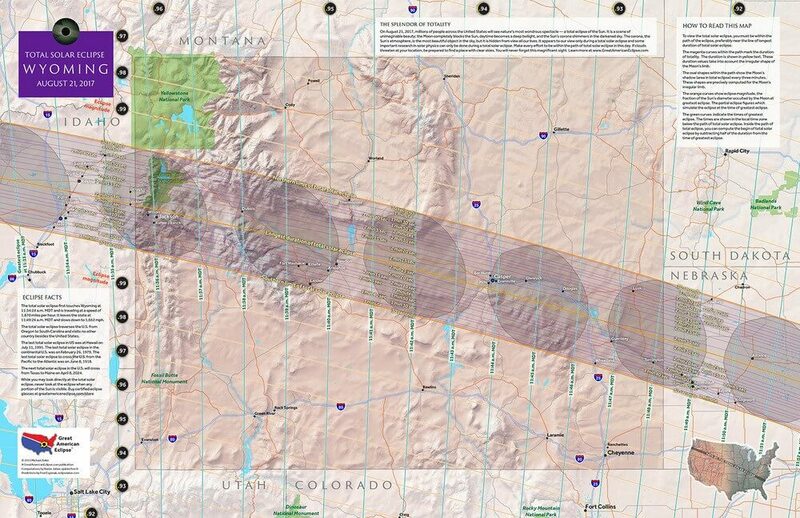 NASA also has excellent information on the path of the 2017 total eclipse. Anyone lucky enough to be staying at the Goosewing Ranch this week will be safely tucked away from all the bustle, enjoying gourmet cooked meals, a beautiful and peaceful ranch to view the eclipse from that just so happens to be directly in the total eclipse path. Soda Lake, which lies in the Gros Ventre River Valley is going to offer some of the most amazing and unobstructed views of the eclipse. 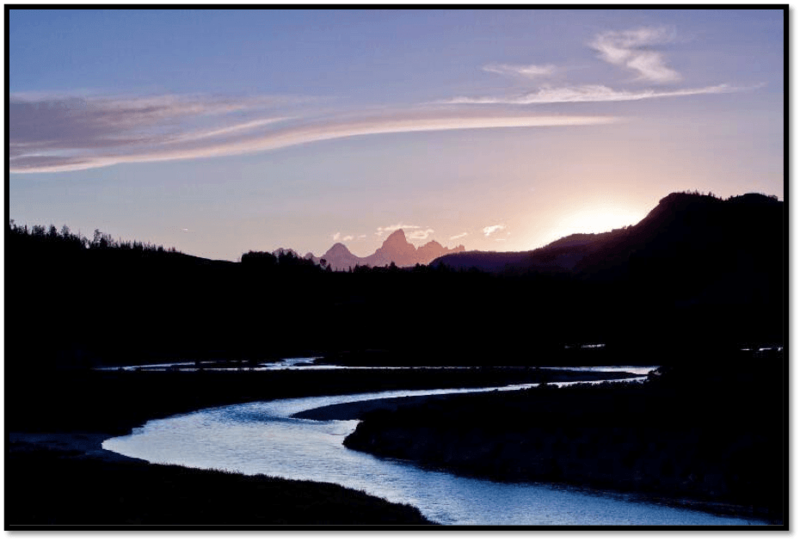 Whether your are on a pack trip adventure, a glamping holiday or perched at your private cabin, the Goosewing Ranch will provide the perfect place to create eclipse memories you will be telling for many years to come. Source: The Great American Eclipse website.